Founded in Istanbul, Turkey in 1996 ATLANTIS POOL since then has grown into one of the globe leaders in water activities industry. The company maintains designing, manufacture and installation of Waterpark Pool Systems as Surf Pool, Wave Pool, Lazy River, Wave River, Torrent River, Filtration System for the commercial and private pools, Waterslide Circulation Systems, EasyTainers, etc. 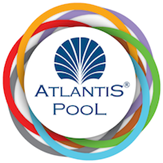 > Atlantis Pool successefully completed more the 350 projects of Waterparks , Hotel & Resorts, Municipality Buildings, Shopping Malls, Training Centers and other in more then 45 countries in different parts of the World.